As Susan reflects on her own experience, she comes to appreciate all we're up against in America: a medical system that often keeps people fighting for their lives, doctors ill-equipped to guide the dying, and a culture that simply doesn't know what to do. The challenge: To create a brand and website for Susan and Lorielle, two filmmakers, to help them raise money and awareness. 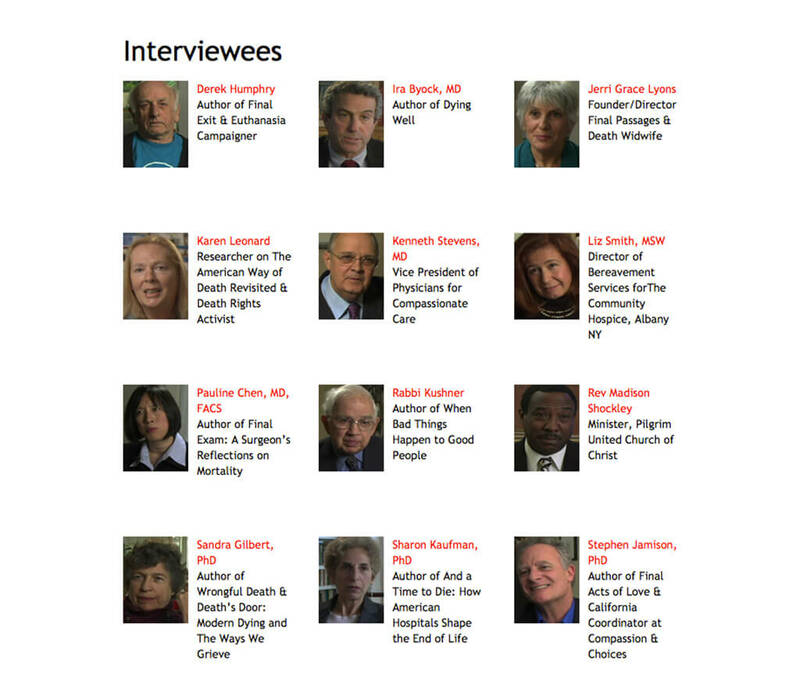 The documentary focused on educating people on the hardships that come with end of life care and dying in America. My role & approach: Not knowing anything about the subject matter I sat extensively with the two filmmakers to learn about them and the documentary. This gave me a great perspective on who they were as people and how we could use their stories to connect with others. We worked hand in hand on the look and feel of the website to find the best way to present the subject matter, which is a difficult one for a lot of people. The impact: They were able to use the website to raise small rounds of funding to help them continue to work on their documentary. 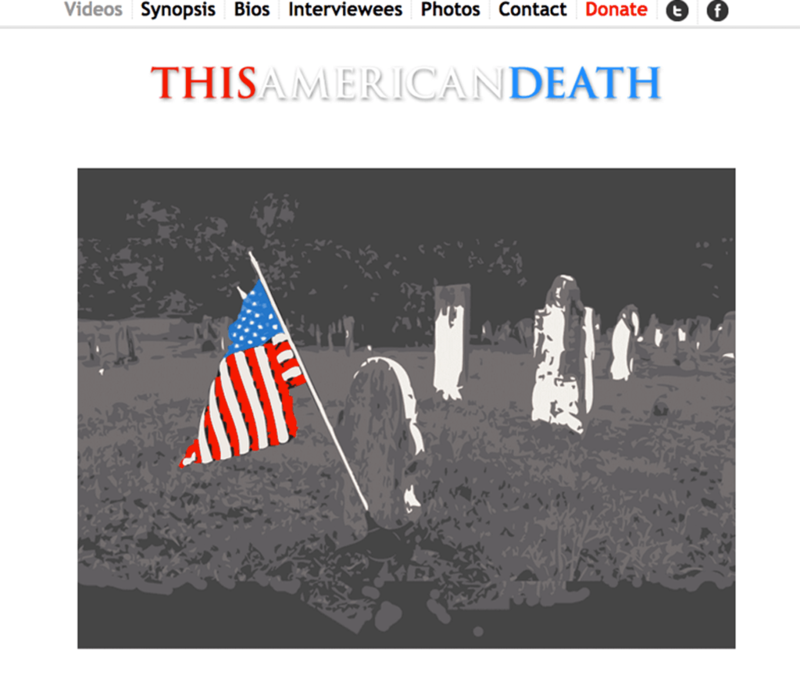 Image Caption: This American Death homepage. 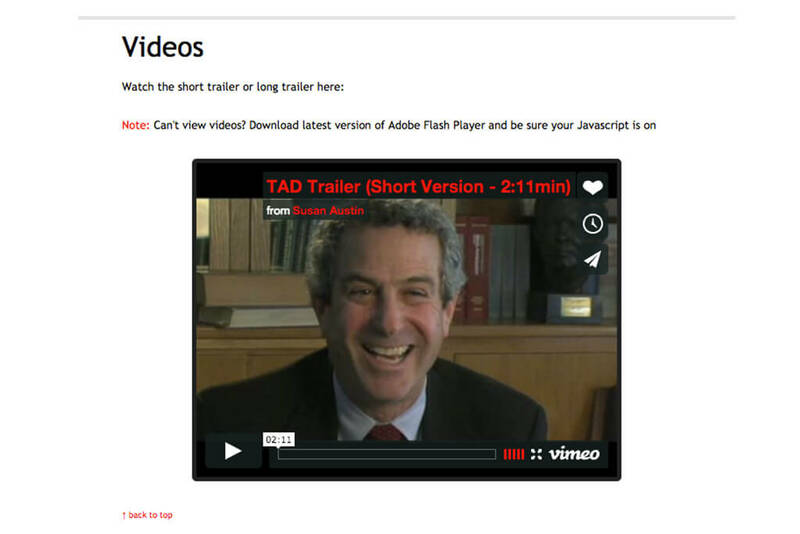 Image Caption: This American Death video player. 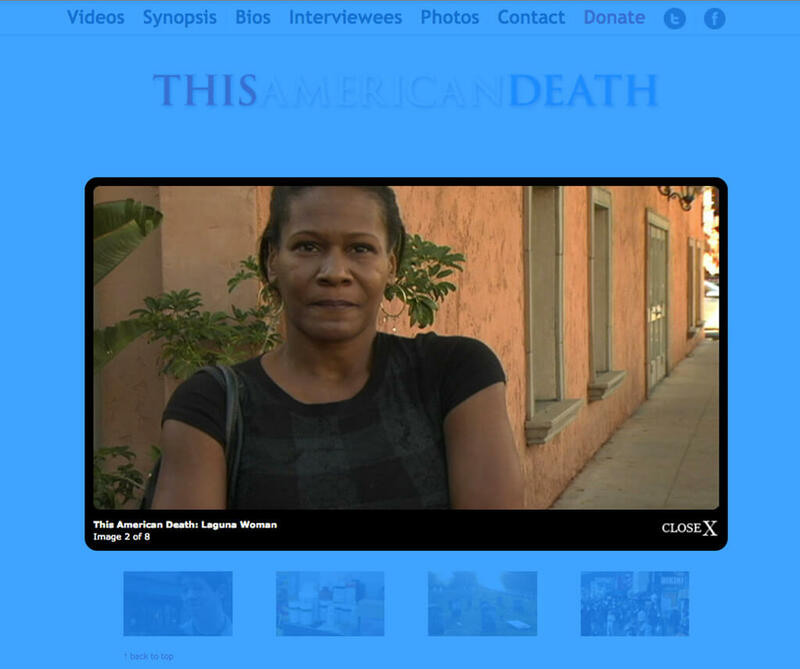 Image Caption: This American Death image lightbox. Image Caption: This American Death interviewees.